Use this place value chart to help students learn place value and how to read numbers. This chart includes the ones period (Ones, Tens, and Hundreds). To make it fun, give students several dice to roll and make up their own numbers. 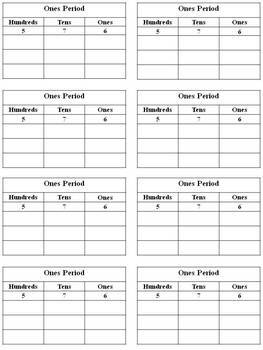 This sheet is also great for helping students add numbers too!